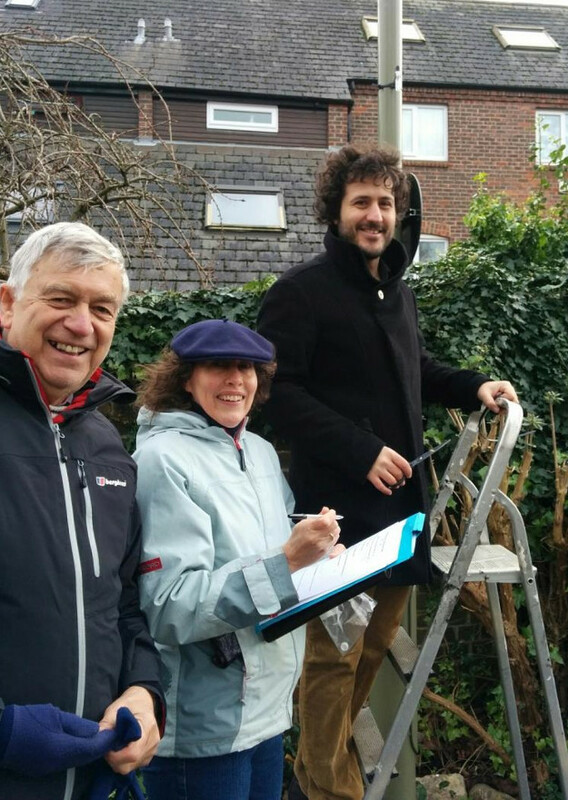 Photo: Dario Salvi from Oxford (up the ladder) siting an air pollution monitor (gas diffusion tube) in January 2016 with other local residents. 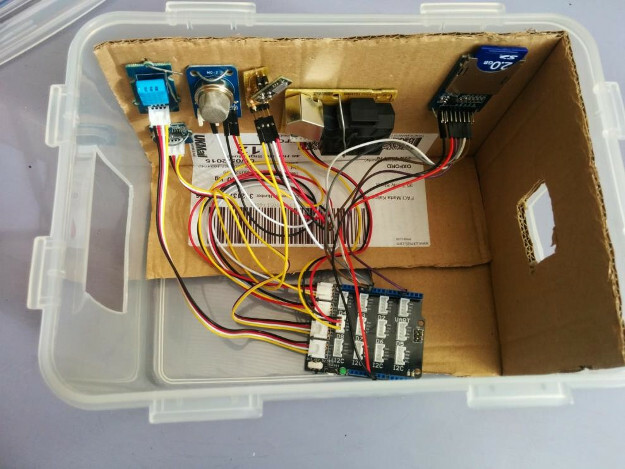 Photo: A digital air quality sensor that Dario Salvi built using an arduino processor and various sensors including for particulates, nitrogen dioxide, temperature and humidity. Dario Salvi lives in Oxford and he is part of the St Ebbe's New Development Residents Association. When a new shopping centre was to be built near their homes, the residents became concerned about the possible air pollution from construction work. They contacted the City council and checked what monitoring would be undertaken, and they undertook a survey of air pollution with gas diffusion tubes. Dario also built a digital air quality sensor which he tested beside the City Council's monitor station. He told his story at the Clean Air Convergence 2016 with a slide show.